I’m traveling with my pet. Do I need a health certificate? MAKE SURE YOU HAVE THE RIGHT CARRIER Requirements vary by airlines and size of the plane, so make sure you know what those requirements are before you arrive at the airport. Animals must be able to stand up, turn around and lie down in a natural position in the kennel. If your pet receives a rabies vaccination at Great Neck Veterinary Clinic, you will receive rabies Certificate of Vaccination. All dogs are required to be licensed and, in some towns, cats are required to be licensed. Each town’s licensing year may vary, and you will be required to present Rabies Certificate of Vaccination with an expiration date that is good for the entire licensing year for your town. If you are traveling with your pet outside of the United States, you must contact your airline and the consulate or embassy of the country of destination for the most updated requirements. The website of the United States Department of Agriculture is a great source of information. The USDA also has a website for finding the consulate or embassy of the country of destination. For more information or to schedule an appointment, please call us at (757) 481-2800. Is allergy testing available for pets? Pets with allergic sensitivities may suffer needlessly with excessive itching or may be given improper treatment if their allergies are not recognized and diagnosed. Our hospital routinely tests dogs and cats for sensitivity to a wide array of allergens ranging from insects and grasses to trees and molds. After eliminating various causes of itching, such as parasites, foods, and infectious agents, testing for inhalant allergens through blood testing is the next logical diagnostic tool. Additionally, at Great Neck Veterinary Clinic, we are familiar with the Virginia Beach area’s most common antigens that cause allergies in pets and can refer you to a board-certified dermatologist for more advanced diagnostics or treatment if needed. What is involved in allergy testing? Blood tests require two weeks for results. You may need to temporarily suspend certain pet medications prior to testing. Can you help with pet behavioral counseling and training referral? Behavioral problems in pets can hinder the development of a fulfilling relationship between pets and their owners. Our well-qualified and knowledgeable veterinarians and staff are experienced in identifying and addressing the causes of a variety of behavioral problems. Though our approach is rooted in the principles of behavioral medicine, we recognize the effectiveness of proper pet–owner interactions and pet training as a means of curbing undesirable and unsafe behaviors. We have a working relationship with three area trainers as well, to round out our ability to problem solve for you and your pet in those tricky situations that most impact your family’s ability to live together happily. What is cardiac care and what treatments are available for my pet’s heart? Cardiology is a veterinary clinical specialty that deals with the diagnosis and treatment of the valves and muscles of the heart. Great Neck Veterinary Clinic offers complete cardiac evaluations utilizing blood work, digital radiography, and electrocardiography (EKG). After our initial comprehensive cardiac physical evaluation, we’ll discuss with you any additional testing or treatment that we recommend. In some cases, we may refer you to a board-certified cardiac specialist. Discovering that a pet has a heart problem can certainly be a difficult time for the pet’s owner. However, it is important to find out as much about the problem as possible to begin effective treatment. The sooner treatment begins, the sooner the quality of your pet’s life is improved and the more likely we are to prolong your pet’s life through treatment and management of the problem. Our clinic is equipped with modern veterinary electrocardiograph (EKG) technology. Our EKG equipment allows for the reliable detection of cardiac arrhythmia and other conditions of the heart. Our highly trained staff is able to extract answers in minutes for critical cases and within 24 hours for non-emergencies. We also have access to event recorders to record heart rhythms over a 24-hour period. This equipment is particularly useful in assessing the overall frequency of an arrhythmia, the relationship of an arrhythmia to clinical signs, or the effectiveness of anti-arrhythmic therapy. 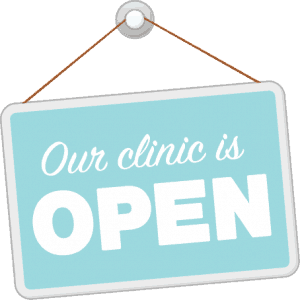 If you would like to schedule an appointment, please call 757-481-2800. Can you tell me about veterinary dermatology and skin care? There are a vast number of skin disorders known to affect pets. These disorders may be the result of an infectious or non-infectious disease, parasitic infestation, or allergic reaction. Skin disorders can be painful to your pet, and if left untreated can become a serious danger to your pet’s overall health and comfort. Diagnosing the cause of skin problems can be like detective work—ruling out one possibility at a time. It is important to use a methodical approach to be certain of the root cause, and we try simple solutions before ordering more expensive diagnostics and treatments. We want the resolution and management of a chronic skin problem to be rewarding for the pet, owner, and veterinarian. We always obtain an extensive history from you, in addition to a physical and dermatological exam of your pet. Skin diseases can be frustrating for pet owners because some can only be managed and not resolved. In these cases, we will need to see your pet on a routine basis for follow-up care and continued treatment. What happens when a pet has cancer? Cancer poses a significant risk to pets, particularly to aging and geriatric animals. Early cancer diagnoses and proper treatment can improve your pet’s quality of life and help him or her to live longer with fewer complications. You can be proactive in your pet’s well-being by observing your pet and reporting any physical and behavioral changes you see to your veterinarian. Remember, allowing your veterinarian an opportunity to detect problems early gives your pet the best chance at successful treatment and recovery. Our oncology services include cancer screening, therapy, and surgery or referral to a board-certified oncologist for advanced cases and care. 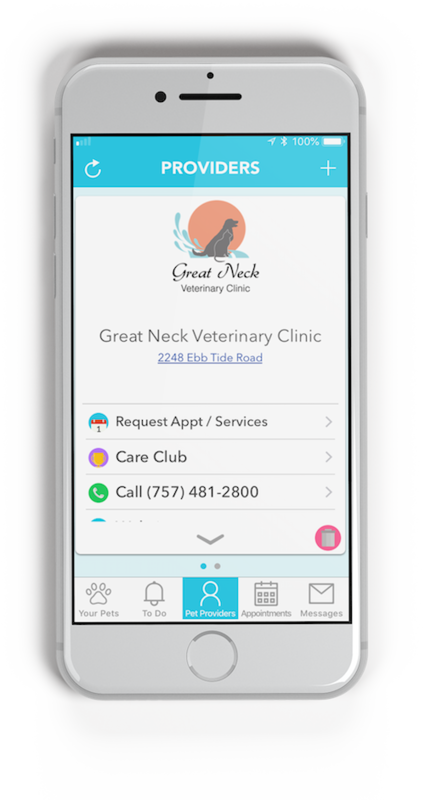 Your Great Neck Veterinary Clinic veterinarian will provide you with information about your pet’s condition and discuss which proven treatment options will most benefit your pet. Many cancers are treatable, and we are here to coach your family on therapeutic options and work with you as you care for your post-therapy pet. In some cases, your veterinarian may recommend that you consult an oncology specialist and will provide you with a referral. We understand that this can be a difficult time for you and your pet. We want to assure you that our primary goal is to enhance your pet’s quality of life and provide the most appropriate treatment solutions to fight the disease. Can you help with pet euthanasia and support for end-of-life care? Grief for the impending loss of your pet is complicated by the need to make difficult, often painful decisions. You may ask yourself how much treatment should I pursue? At what point will treatment cause more trauma than relief? Can I provide the care needed to keep my pet comfortable? At what point, if any, should I consider euthanasia? When should you consider euthanasia? When your pet is ill, this may be the last question you want to think about. Yet, it is an important question that needs to be considered. Our veterinarians can provide you with information on your pet’s problem that can help you form your plan. For example, you may decide to seriously consider euthanasia when your pet refuses to eat or drink for a certain period of time, is in pain despite medication, or has difficulty urinating/defecating in a normal manner. By defining a “decision point” in advance, you place boundaries on the suffering your pet is likely to endure. This is a very personal issue. This is not a decision to be made lightly or based on someone else’s choices. Many feel that the pet’s well-being is the most important consideration. If you believe your pet will feel more comfortable or secure in your presence, you’ll probably want to stay. On the other hand, if you’re concerned that your own reaction and grief may disturb the pet more than the process itself, you may prefer to stay away. 1. You may take your pet home for a private burial. 2. We can help you arrange a private cremation for your pet with his or her ashes returned to you. This ensures that the remains returned to you are only those of your pet. 3. We can handle your pet’s remains for you, which involve a communal cremation. As the term implies, communal cremation means that more than one animal is cremated at one time; their ashes are disposed of by the crematory. Our staff members are also pet owners and, therefore, they understand the bond between humans and animals and the difficulty of losing a cherished pet. Our staff does everything possible to help you through this decision and is available to talk to you about the euthanasia process before you come in for the service so that you understand what to expect. At Great Neck Veterinary Clinic, we will see both our regular clients for this service as well as new clients.  However, when we see a new client for this service, we must spend time talking about the pet’s condition with the owner and evaluating the pet’s overall health. If it is possible, please call ahead to either schedule an appointment for euthanasia or to let us know you are on your way in so that we can be prepared for your arrival. If you have questions about euthanasia, please call us at (757) 481-2800, and we will help answer all of your questions.